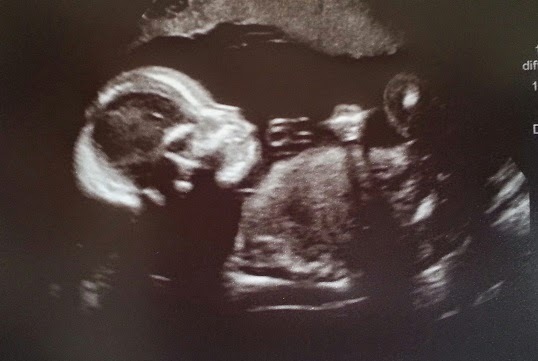 First of all, here are the pictures from our 20 week scan. It was so amazing to see the twins in so much detail and the pictures were so clear (much clearer than the snapshots we have below) - we saw everything from the individual vertebrae of the spine, the ribs, the kidneys, bladder, even different parts of the brain! It was also very cool to see their wee hearts beating away - seeing all 4 chambers, each ventricle and atrium and then to see the blood pumping through them - so awesome!! They were both little wrigglers and as before, Baby 2 was better behaved than Baby 1! Twin 1, a bit blurry due to excessive wriggling! Everything looked normal, they seem perfectly healthy and no problems were found thank goodness! 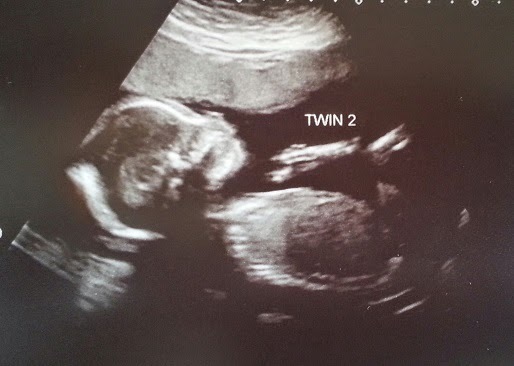 Twin 2 had quite the pout when they were checking the lips/nose for clefts, so cute! So, as for satisfying your curiosity. When I asked people to guess, the overwhelming majority was for one of each - statistically the most likely result with a 50% chance and a 25% chance each of being 2 girls or 2 boys. Totting up the results (from the blog and others that I can remember) there were 31 votes for boy/girl twins, 10 for boys and 14 for girls. I have to add that Jo Torr was very specific and even added which she thought was which. And she was absolutely right! We're having one of each!!! How superbly wonderfully exciting! We really had no preference, obviously we are just utterly delighted and feel so lucky to be having any babies but getting to experience being a Mum to both a boy and a girl is going to be just fab! Especially since this will most likely be our only pregnancy, given everything it took to get here, there will be no chances for different genders again. Now we just have to settle on some names! We do have lists for both and one is longer than the other (we have found more girls' names that we like) but it's exciting to think we get to choose one from each category! Although it won't be any easier as we can't just discount one of the lists to narrow it down now! Hehe. If you know any lovely Indian names (Nik is Indian if you weren't already aware from our wedding and we've decided we want them to have Indian names) - please do make your suggestions in the comments below - there could easily be some we haven't heard of yet!! EEEEEeeeeeeeeeee! 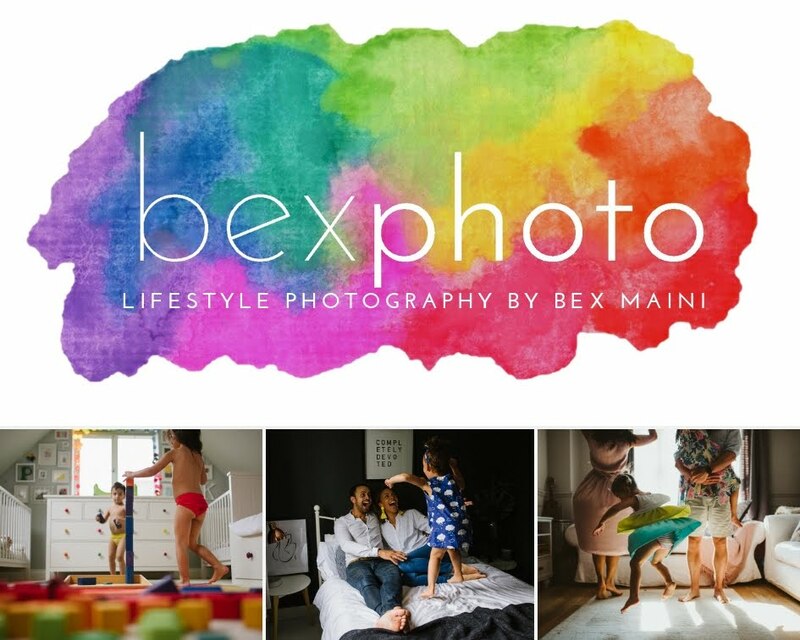 How exciting to have one of each :) So, so happy for you Bex & Nik! As for Indian names... I'm afraid I'm a little short of ideas other than I know two lovely Indian ladies called Nina and Meera. (not traditionally Indian I know, but I do love the name Nina). Yay! So pleased for you both. Sitting by the pool and beach in Khao Lak would you believe waiting for the big reveal ! I'm one half of a girl / boy twin and still so close to my bro. Always felt that someone had my back. My hubby who is a twin (boy / boy) too says that he always felt the same. 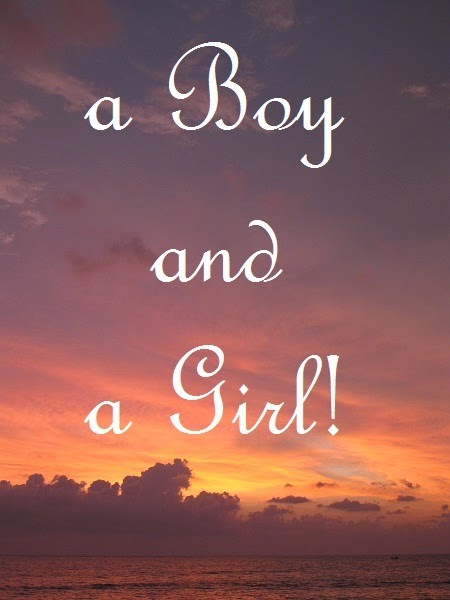 Ohh I knew it was a boy and a girl! I am so excited and happy for you, more to hear that everything is fine. The anatomy scan is exciting and scary at the same time, but t is just incredible to see them in such detail. I am so, so overjoyed for you guys! Woohoo!! Congratulations. So thrilled for you both/all!! I don't really know of any girl names off the top of my head but a very good friend of ours is from Chennai and his name is Jayakamur (said Jay-acka-moor) I've always thought it was a lovely name. Congratulations! Well here's a couple from my shortlist which I will email as it's not so short! Dhanya - meaning thankful, lucky. Lukesh - meaning King of the Empire. I apologise in advance for my next post which Dad has asked me to send as he can't do it from work!! From Dad: Bex, make sure your humour is active before reading on. If you want suggestions for Indian names how about Hiawatha and Running Bear! (Add smiley face with tears running down face!!) Mum - Sorry don't know how to do last bit! Congratulations! 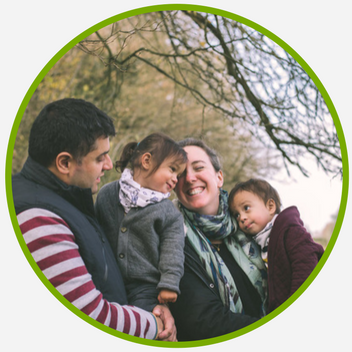 How wonderful to have two healthy babies and one of each is just fantastic for you. I don't have many suggestions for Indian names but we have a very lovely friend called Sapna and her sisters are Sheetal and Deepa. For boys names I know an Ankit and an Attiq. I hope everything continues to go as fantastically as it has so far. Yay!! I have a twin brother and it's the best. Growing up with a partner in crime is one of my favorite things ever :) they will have so much fun together!! Congrats! Deep! Perfect! I am so pleased for you both! !